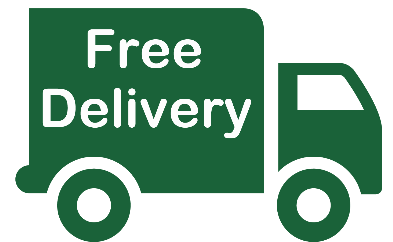 FREE Mainland UK Delivery (excluding offshore Islands and Scottish Highlands). Delivery 2-7 working days - Courier contacts to agree delivery day. 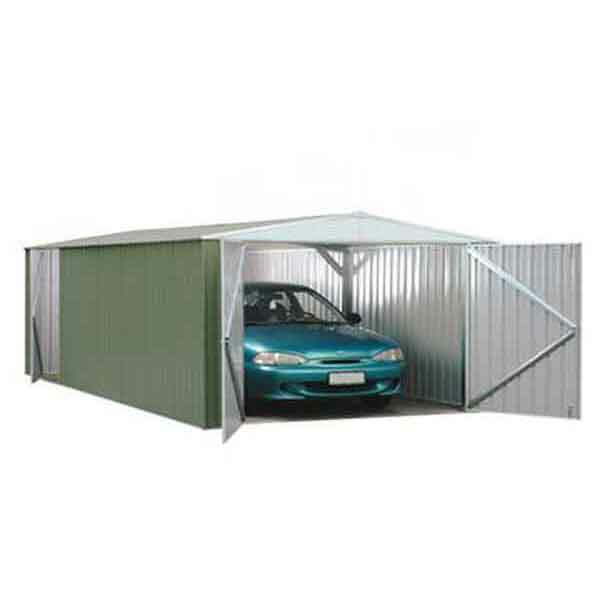 Made from high-quality steel and finished with a titanium colour coating, these Absco Utility Workshop Garages are not just your average metal garage. 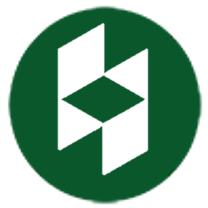 Absco garages use the revolutionary SNAPTiTE assembly system that makes it much easier to install the shed, up to 80% faster in some cases when compared to a normal metal garage. This system also means fewer screws, nuts and bolts and therefore less mess. 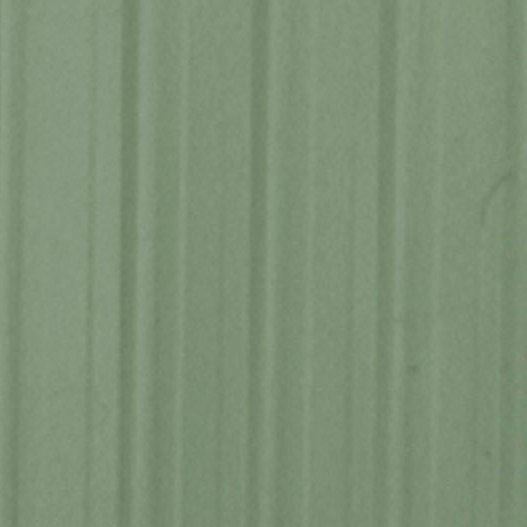 Metal garages are fire retardant as well as rodent resistant. This building also incorporates a wide double door on one end for vehicular access and a secondary pedestrian door on the long side that can be fitted either side. 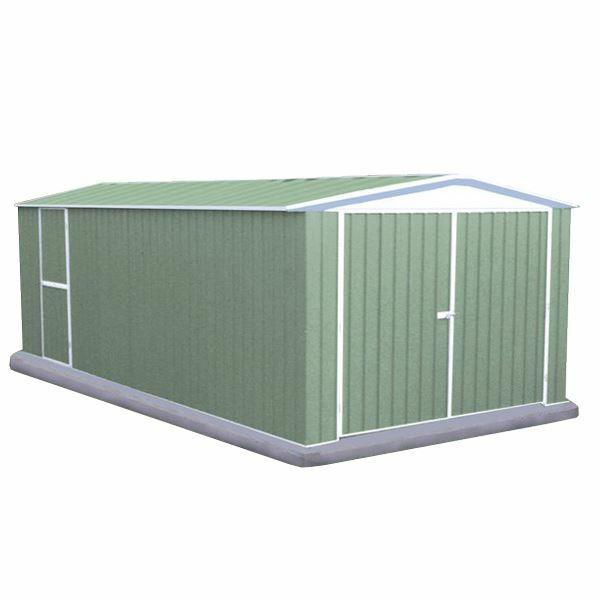 External Width (max) 3000mm - 9' 10"
External Depth (max) 5960mm - 19' 7"
External Height (max) 2100mm - 6' 11"
Ridge Height 2100mm - 6' 11"
Eaves Height 1780mm - 5' 10"
Door Height 1780mm - 5' 10"
Door Width 2300mm - 7' 7"
Note: All imperial sizes stated are approximate, rounded to the nearest inch.